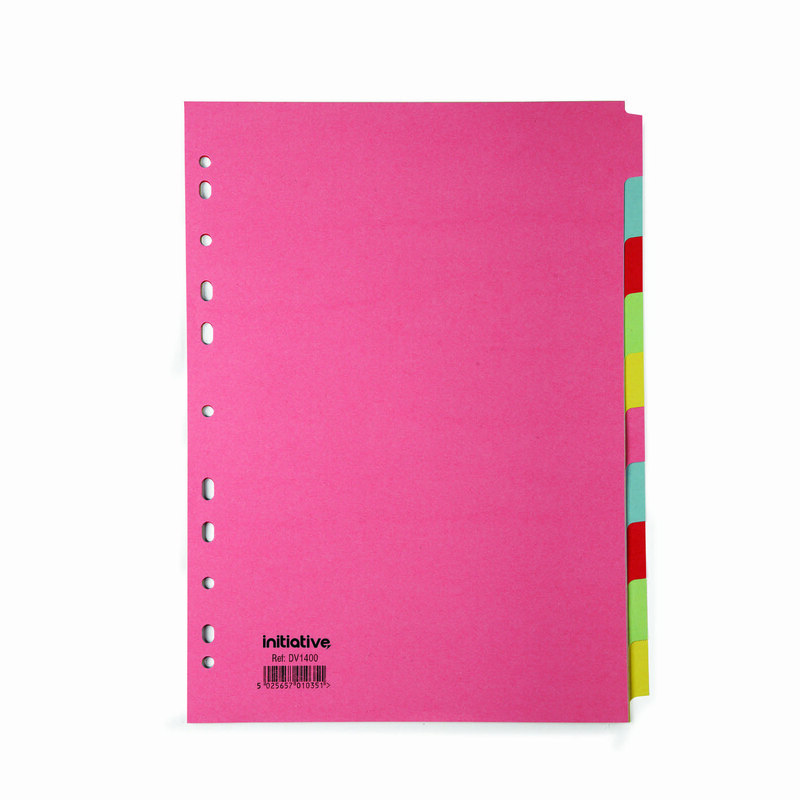 Initiative Divider A4 Manilla 10 Part Multi-Coloured 150gsm - Norwich Office Supplies - Office Stationery and Furniture for Norfolk with Delivery to all of the UK. Get all your Computer Supplies, Print Consumables, Presentation Equipment, Paper, Desking & Seating Right Here! • Multi-punched to fit into all types of binders.